3Divas are a piano trio led by Pocono-based drummer Sherrie Maricle, founder of the award-winning Diva Orchestra. Ms. Maricle met pianist Jackie Warren and bassist Amy Shook while touring in support of dancer Maurice Hines. The soon formed a tight musical relationship, and appeared on a Homegrown Music studio session in 2016. That recording became an acclaimed eponymous album “3Divas”. 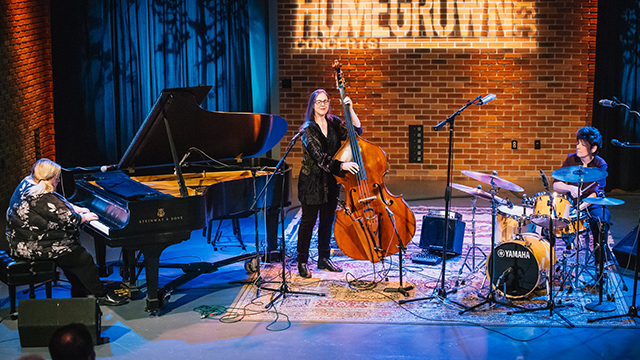 The trio returns to Homegrown Music for a live performance.